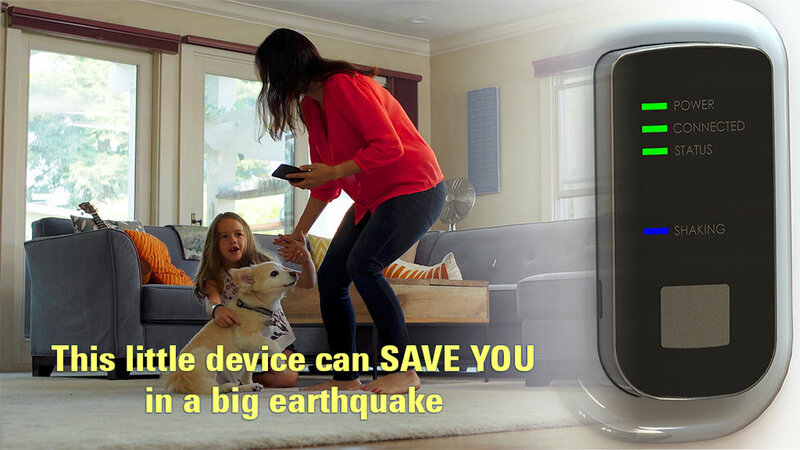 As the founder and CEO of BUILDERA, and in my board-advisory role for Zizmos Inc., I’m thrilled to announce a stretch goal to raise $250,000 on Kickstarter for an in-home seismic sensor that forms part of a crowdsourced Earthquake Early-Warning Network. Zizmos—a Silicon Valley startup—was founded by Gazi Yildirim, a post-doc researcher from the department of geophysics at Stanford University. To date, Zizmos has received grants from the National Science Foundation and $1,000,000 from Verizon to help fund development of initial prototypes. In order to realize a viable network, we need enough third-generation sensors deployed in active seismic regions to detect and minimize false alarms. The sensors will also provide property owners with site-specific shake data after significant quakes. Meanwhile, the public may download and experiment with the free Zizmos® eQuake® Mobile App for Android and iOS from Google Play or the iTunes App Store. Please help spread the word and I welcome you, your families, your employers, and your colleagues to participate in this exciting Kickstarter campaign. Only if we hit our $250,000 fundraising target can we begin to realize the Zizmos vision of a cost-effective earthquake early warning system. PALO ALTO, CA, November 7, 2017 — Zizmos Inc., a Silicon Valley technology startup, today launched a $250,000 Kickstarter campaign for an earthquake early-warning system designed to reduce casualties in the next major earthquake. Residents and businesses concerned about earthquake preparedness in seismic zones will appreciate the importance of this new system. Zizmos sensor technology provides crucial seconds of advance warning to protect occupants from oncoming earthquakes. Zizmos invites the global community to learn more about this new technology and to support the exciting Kickstarter campaign. Depending on the proximity to the epicenter, a typical advance warning of 10 to 15 seconds or more is possible. This is sufficient time for occupants to drop under a desk, hold on to a railing, and take cover from falling objects. An early-warning system may reduce the number of injuries from a major earthquake by fifty percent. With an early-warning alert, a manufacturer may shut down sensitive processes to brace for impact, mitigating the damage that shaking causes. Building on a $1,000,000 grand prize from Verizon’s Power Answer competition and the engineering research from the founder’s work on Stanford’s pioneering Quake-Catcher Network, Zizmos has built a cloud-connected system that makes earthquake early warning an economic reality. The network is built using two types of sensors: permanent wall-mounted Wi-Fi sensors for homes/offices, and smartphone-based sensors using the eQuake® Mobile App (Google Play & Apple App Store). Zizmos issues alerts through the eQuake Mobile App and to low-cost wall-mounted sensors, helping to ensure personal safety during the next large quake. Zizmos estimates the number of seconds before shaking hits the user’s location. As of today, the eQuake App has over 140,000 downloads and was nominated for Apple Music’s new series Planet of the Apps. Zizmos has tested the sensor at the University of Nevada-Reno world-class earthquake lab. With help from Calpine Corporation, Zizmos piloted a test network at the Geysers of Northern California. Frequent quakes have been detected over the past six months with excellent correlation to USGS data. The Zizmos mission is to build a crowd-sourced earthquake early-warning system in California and global regions facing seismic risk. To achieve this, Zizmos and the greater community depend on your pledge today, starting at just $159 for a single sensor, and $25 toward the eQuake App. For more information, visit the Kickstarter link below, Zizmos and eQuake are registered trademarks of Zizmos Inc.